Breast cancer is one of the leading causes of cancer death in women and a major socioeconomic issue throughout the world. With the detection methods available today, diagnosing breast cancer early enough is still not possible in many cases. As well as the problem of detection, there is an ever-increasing need for improved non-invasive characterisation of cancer. Targeted therapies require an in-depth analysis of cancer to select and guide appropriate treatment. Both, positron emission tomography (PET) and magnetic resonance imaging (MRI) can provide molecular and functional information that may be of vital importance to tailoring a patient's therapy. However, current whole-body PET/MRI systems lack the necessary sensitivity and resolution for this task. HYPMED addresses this by engineering an innovative new medical imaging tool. 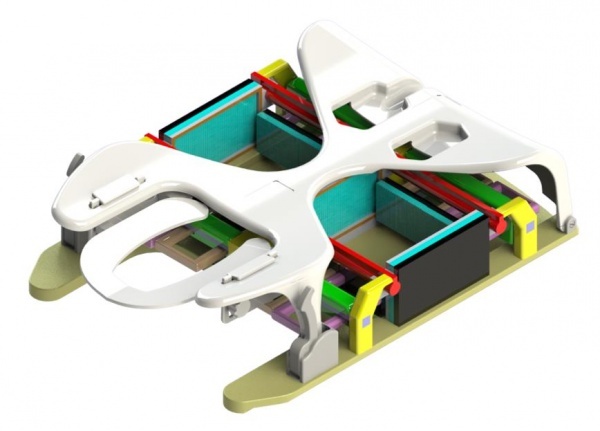 The project`s aim is to develop a radiofrequency coil that can be connected to any regular clinical MR scanner and transform the device into a high-resolution PET/MRI hybrid system, which can be used to identify even the smallest breast cancer tumours and better characterise the cancer, as well as its response to therapy. Patients will also benefit as the radiation dose of this new technology will, in contrast to other PET-MRI examinations, be comparable to a regular digital mammogram. To achieve this, the HYPMED research team will integrate an a fully digital MRI-transparent PET detector into a novel multichannel PET transparent MRI surface coil. The PET-RF insert will allow vastly improved imaging of breast cancer with high resolution and ultra-high sensitivity PET, combined with a high level of structural and functional MRI. It will also facilitate minimally invasive MRI and PET-guided targeted biopsy. 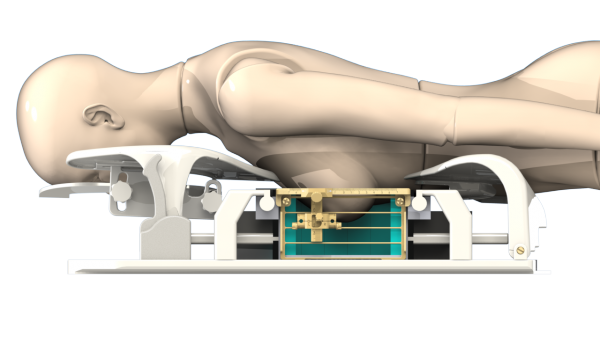 With HYPMED's PET-RF insert, any regular clinical MRI scan could, upon demand, be turned into a hybrid PET system. The project will also evaluate the impact of this technology on breast cancer diagnosis, prediction, and monitoring/assessment of treatment response through a carefully designed clinical study that employs established and novel PET tracers in 250 patients. Imaging data will be correlated with established and novel molecular biomarkers and the results will be compared to those obtained from whole-body PET/MRI and PET/CT. A multidisciplinary consortium of clinical scientists, three SMEs and an industry partner will pave the way for the commercialisation of HYPMED products for advanced clinical decision making in cancer patients. Once HYPMED is successful, the project's partners aim to expand this innovation to other medical applications such as prostate cancer or cardiac hybrid imaging, and introduce a paradigm shift in the field of PET/MR hybrid imaging as a whole.